Atlantic coastline railroad property and close down a portion of Savannah Avenue might work. This is just a suggestion I felt like passing on. and there to do city business? Where is any metropolitan thinking?!?! 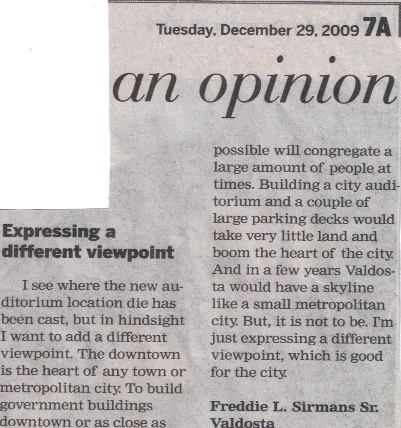 Click here to read: Letters to the editor page at The Valdosta Daily Times. to private enterprise and a much bigger one built downtown with parking decks.